The Iranian trade attaché in Baghdad, Nasser Bahzad, announced the growth of the export of non-oil goods to Iraq by 13% during the period of 21 March - 20 June 2018. The volume of non-oil goods exported to Iraq reached 3.75 million tons valued at 1.75 billion dollars, an increase of 130 thousand tons and 200 million dollars in the corresponding period of 2017, Behzad told the news agency Fars news agency. 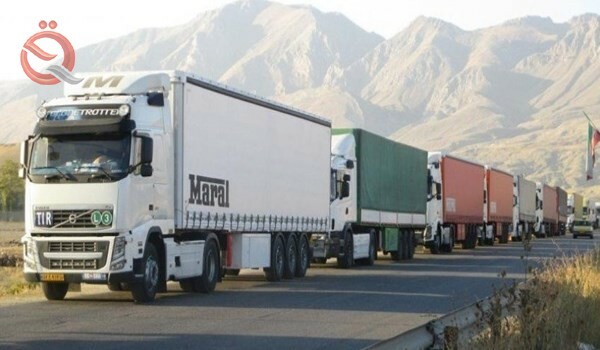 Iranian goods exported to Iraq included industrial equipment, medicines, medical equipment, food and agricultural products, detergents, cosmetics, textiles, building materials and various metals, as well as sweets and car parts. The volume of trade exchange between Iran and Iraq amounts to 13.2 billion dollars annually.